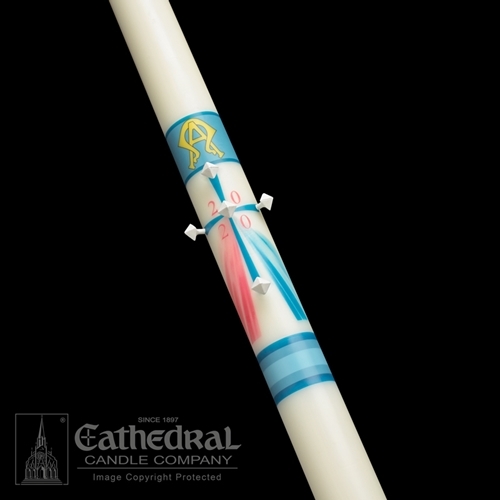 This classic and contemporary Paschal Candle is a beautiful symbolic expression that is meaningful and significant for Christian celebrations throughout the liturgical year. Guaranteed 51% premium quality Beeswax, ensuring a consistently longer and cleaner burning flame, this Ornamented candle is decorated in wax ornaments gilded with rich 24 carat gold leaf and offset with ornaments of pure white wax. Five wax nails with imbedded incense and numbers are included.